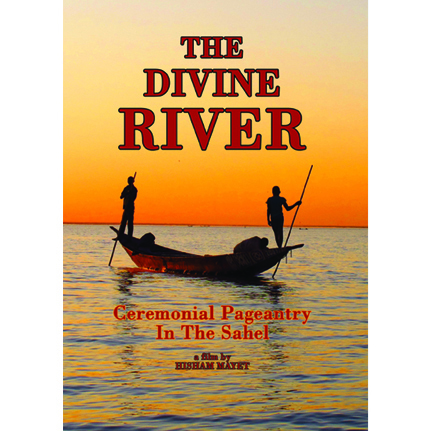 Sublime Frequencies announces a new film by Hisham Mayet: The Divine River: Ceremonial Pageantry in the Sahel. Condensed from 40 hours of footage shot between 2007 and 2012, The Divine River is an exhilarating, hallucinatory, harrowing record of music, ritual, life and landscape along the Niger River—which the Tuareg call Egerew n-Igerewen, or "River of Rivers"— as it winds through Mali and the Republic of Niger. True to Sublime Frequencies' "aesthetic of extra-geography and soulful experience," The Divine River refuses hasty contextualizations and rote interpretations that, far from "explaining" cultural displays, deaden viewers to the presence of mystery. Avoiding the temptation to reduce ritual to a simple matter of ends and means, its silence respects the chasm that separates concepts like "possession" from their lived reality. Rejecting the distractions of an imaginary understanding in favor of simple attention and humility, it traces the portal to deeper knowledge counseled in a centuries-old Sufi prayer: "O Lord, increase my bewilderment." 47 minutes/Color; digipack; all-region DVD; NTSC format. Limited one-time edition of 1000 copies.